If you want to understand the true heartbeat of Cuba, you have to experience one of the country’s greatest passions: Jazz music. The measured tap-tap-tap of the drum, the wail of the sax, the deep undertones of the bass, the sweet sounds of sultry vocals floating on the air, and the swaying hips of dancers as they take in the scene and soak up the rhythm, all speak to the tumultuous history, the dynamic present, and the optimistic future of the Cuban people. For the first time last year, we sent our travelers to face the music firsthand at the 33rd Annual Havana Jazz festival! And while the festival itself was a large part of the itinerary and a once-in-a-lifetime experience for music lovers, this tour wasn’t just about watching professional performances on a faraway stage. True to the people-to-people programs we operate on all of our Cuba tours, our travelers had the opportunity to immerse themselves in the culture of Cuban jazz and, along the way, meet the people making it happen along the way. Here are five unique experiences that transported our travelers behind the music on our Havana International Jazz Festival 2018 small group tour. And if you can already feel your toes tapping, this is your chance to ‘face the music’ too. We’ve officially opened our Havana International Jazz Festival tour for 2019, meaning this could be you come January! Located slightly west of Havana in a borough called Marianao, the Music School of Alejandro Garcia Caturla was founded in 1968. Many talented Cuban musicians begin their studies in this small school that accepts about 250 elementary students each year. You will visit this special place and get an up-close view of how music can truly be a language for all! The tour begins as administrators and teachers share information about the registration process and requirements that need to be met for students to attend including admissions and exams. Tuition, however, is free and instruments are provided to all students to allow youth of all socioeconomic backgrounds an opportunity to pursue their dream of a career in music. Visitors are then treated to a classroom visit where the kids get a chance to play a mini concert for you. We think experiencing the authentic side of Cuba is a bucket list item every traveler should check off! That’s why, as one of the first US tour companies to have been awarded a People-to-People license for Cuba travel, we’ve worked hard to send thousands of American travelers to Cuba to participate in unique, inspiring, and affordable encounters with the Cuban people. Recently, we asked one of our fabulous Cuba Tour Managers, Gary White, to tell us about one iconic Havana landmark that really immerses you in the ‘authentic’ Cuba. For decades, as a forbidden country to US citizens, Cuba was only in our imaginations. We had seen pictures of 1950s classic American cars plying down the dark streets of a crumbling Havana, or of an enthusiastic Fidel Castro gesturing to the masses as military trucks pulling missiles passed in review. And, of course, the island was riddled with aged women who enjoyed oversized cigars tilting down from one side of their mouths. 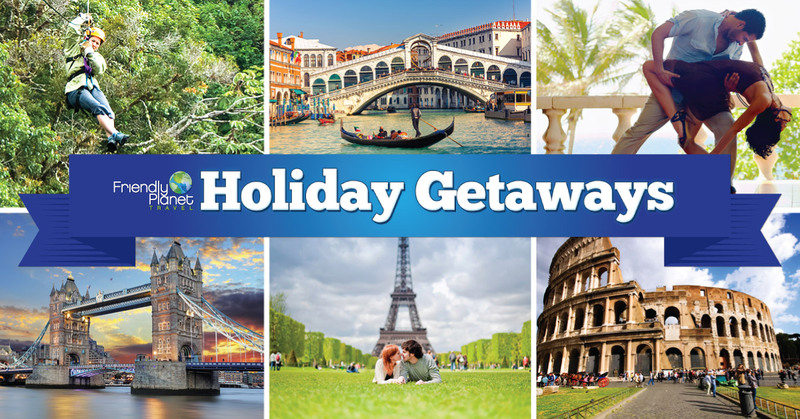 Want to get away this holiday season? Now’s the time to book a vacation! Imagine spending the holidays lounging on a gondola in Venice, spotting endangered sea turtles in Costa Rica, or salsa dancing with locals in Cuba, all at an affordable price. Well now’s your chance. Our team at Friendly Planet Travel is offering special deals on 38 travel packages to destinations across the globe, all with travel dates over the coming Thanksgiving and Christmas holidays. Travelers can save up to an EXTRA $300 on select tours, but you have to book soon — these special offers end on Sept. 25, 2014. To help you picture that perfect getaway, I wanted to highlight just a few of the vacations that you could be booking for this holiday season. Discover Havana: Through our people-to-people license, the Friendly Planet Travel team has helped more than 5,000 Americans visit Cuba legally. Cuba is a nation only 93 miles from the continental U.S., yet remains largely untouched by American influences. 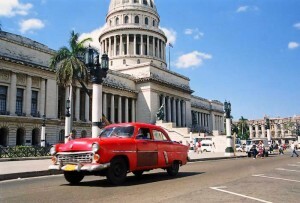 In fact, visitors often describe Cuba as a trip back in time. 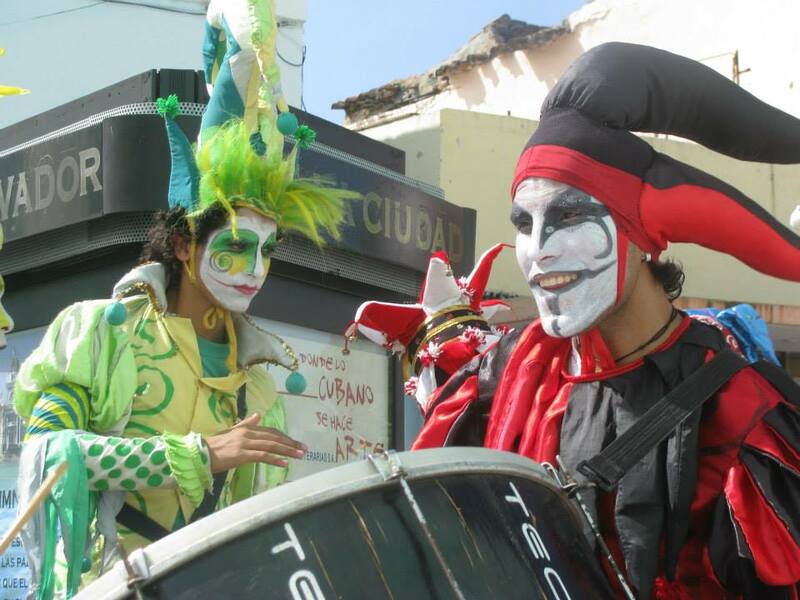 Our Discover Havana people-to-people program introduces travelers to the culture and daily life of the Cuban people. Travelers spend three eye-opening days in Havana, where activities include a visit with Cuban schoolchildren, a performance by a local dance group, and a meal at a paladar — a private restaurant run by a local family. In addition, they venture into the countryside to explore the coffee plantations of Las Terrazas and Hemingway’s Cuban retreat in Finca Vigia. This trip is a once-in-a-lifetime experience that truly unites two cultures through the magic of travel. Barry Ostrow recently recounted his first trip to Cuba on a Friendly Planet Travel tour. Barry glimpsed the 1950s cars lining the streets of Old Havana, met world-class dance students at Pro Danza, and listened to energetic salsa beats at a Cuban dance club — and that was only in the first four days! Here’s the final account of Barry’s Cuban experience. Day 5: On the way back to Havana from Trinidad, we stopped at the former French city of Cienfuegos. Cienfuegos is a wealthy city thanks to the presence of Cuba’s oil refineries. Instead of the narrow, twisty cobblestoned streets of Havana and Trinidad, Cienfuegos’ main street is long, wide, and lined on both sides with large stores surprisingly stuffed with consumer goods. One of the highlights of the trip was the unexpected appearance of a band of revelers dressed in colorful Mardi Gras apparel, many on stilts, playing instruments, dancing, and pulling bystanders into their midst. A few blocks away, we visited the art studio Grafica Cienfuegos. The studio’s business model blended old and new Cuban economics. While salaries were still set and paid by the government, the gallery had to sustain itself — buying paper, ink, and equipment — through the sale of its art. That night, we returned to Havana and our hotel, the famous Nacional, which overlooked the Malecon and featured collages of all the famous people who had stayed there, including Myer Lansky and Frank Sinatra. The Malecon is a ribbon of sidewalk that runs for miles along the Atlantic waterfront. Since we were there on Valentine’s Day, the entire stretch was packed with young lovers. As you might know, we recently received our people-to-people license renewal to travel to Cuba. If you haven’t yet made the trip, boy, is it worthwhile. I recently returned from my first trip to Cuba and had an amazing time. In fact, Cuba was the shortest distance I have ever traveled to enter a whole new world. Since my return, I’ve had Cuba on my mind, and I thought what better way to share my Cuban enthusiasm than to feature it as my next Getaway Dossier. The most common things people associate with Cuba are cigars, antique cars, and salsa, but there’s much more to the country than you might imagine. This small island contains some of the most creative, artistic, resourceful, cultural, and friendly people you’ll find anywhere, and that’s before we even get to the colonial cities, unique religions, and plentiful World Heritage sites. To help shed light on this mysterious island, here are some of my recommendations for things to see, do, and know if you’re planning a trip to Cuba. Calling all travelers! 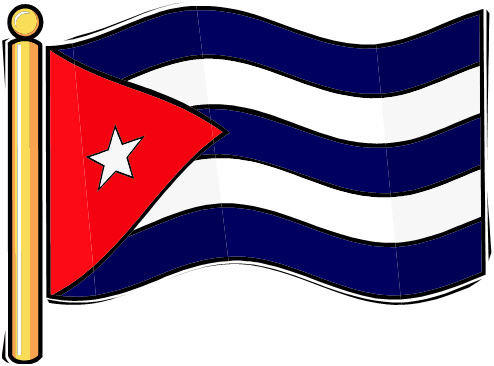 Friendly Planet is licensed to visit Cuba! Friendly Planet is proud to announce that we have received a coveted license to organize and operate people-to-people educational exchange programs. A People-to-People license is one given to a travel provider whose purpose is to promote contact with Cuban people through educational exchanges concerning art, music, culture, and a whole host of other topics. And we’re elated to announce that the Treasury Department granted it to us. We received so much positive feedback that we knew we wanted to offer travel to Cuba in a meaningful way. So we’re kicking off two brand-new educational programs. Our participant travelers will be able to engage in activities and cultural engagement with the people of Cuba. The best part: These programs will pack a lot of value at an affordable price, just like the rest of our programs. The five-day Discover Havana program, priced at $1,899, allows Americans to meet local Cubans and interact in direct and open educational exchanges with these Cubans concerning, among other topics, education, art, and U.S. relations. It will all be set in Havana’s vibrant culture and rich history at some of Havana’s most historic and significant locations. The longer, eight-day Colors of Cuba program, priced at $2,899, offers a more in-depth program of educational exchanges throughout this diverse island nation at many of its most culturally significant sites. Among these are Old Havana; Cienfuegos; and Trinidad, a designated UNESCO World Heritage Site. These programs are a great value, and by my mark, they’re about $300 to $500 less than other Cuba programs out there. You can check out our website for a detailed itinerary on where we’ll be staying, what we’ll be doing, and who we’ll be interacting with, but I’ll give you an overview of what we’ll be doing there. Our travelers will be able to indulge in Cuba’s art scene, which is so special because it gives them a look into the soul of these people. Meet and interact with local artists and photographers, talk to historians at museums, listen to music, and see art from all over the country. They’ll experience a cultural mix that will show the personal side of Cuba. And one of the things we’re most excited about is our travelers will be able to interact and exchange ideas with the Cuban people. They’ll have meals with Cuban families, attend events in local neighborhoods, visit local schools and interact with the children, learn about community agriculture, and speak to Cubans who live in urban communities. Both programs will include round trip airfare from Miami via U.S. government-licensed charter service and letter of authorization, as well as a Cuba entrance visa. Each program includes all land transportation; superior hotel accommodations; all meals; comprehensive programs of educational exchanges organized by Friendly Planet with a professional, English-speaking guide who will facilitate these exchanges; and a Friendly Planet representative who will lead you throughout the program. Check out the press release we issued about our new programs in Cuba. And if you have any questions about Friendly Planet’s programs to Cuba, you know where to reach me or you can call 1-800-555-5765 and speak to our reservations team.